As promised here are the six new paper drypoints. I've also included a brief summary of how they are made. 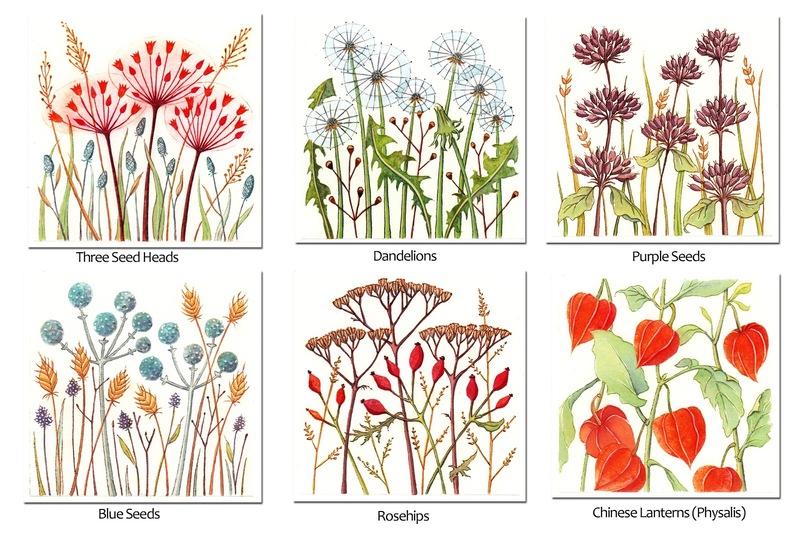 I will have framed and unframed prints at the Cambridge Christmas show on Monday 26th November. There are only six in each edition. 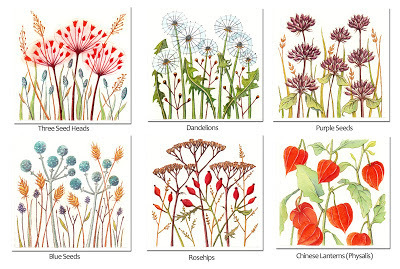 Four of these designs plus two others are being licensed to a new card publisher due for release in the Spring. 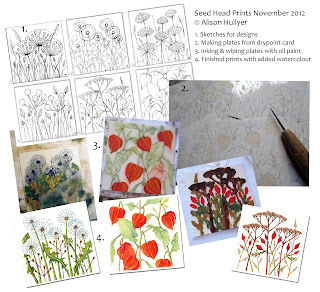 The Cambridge Christmas Show is fast approaching and I've been busy printing six new Seed Head inspired drypoints which I will post here as soon as they are finished. 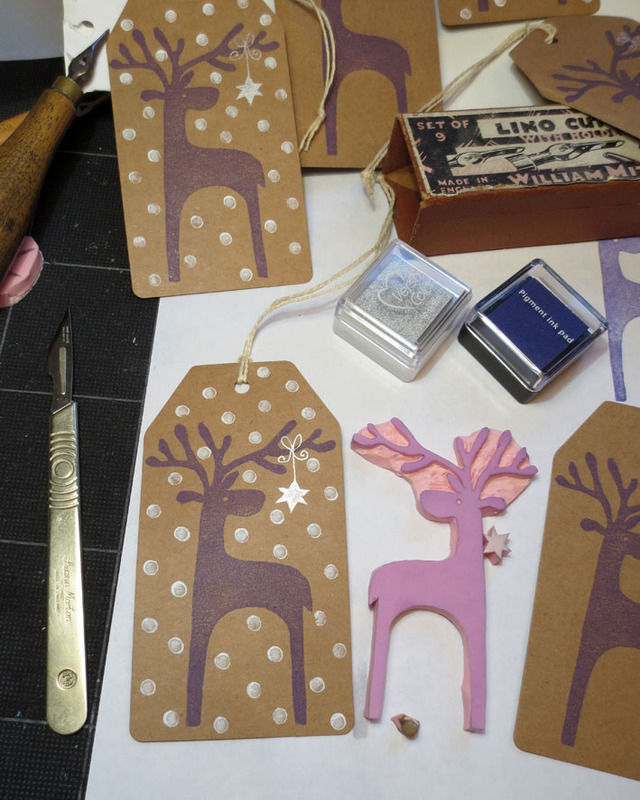 I'm also busy packaging my tea towels, making some tree decorations, gift tags, magnets and painting some mini canvases. So there should be lots of new things to see at 'probably' the best Christmas Fair in Cambridge. The gift tags shown here are made using hand-cut rubber stamps and will start at just 50p.